What happens when the cops become the prey? It starts when Desire Rosenkvist of Stockholm Police receives a letter. Two things are immediately clear: the letter she holds in her hands was written in a state of utter desperation and paranoia. And it contains details of one of her old murder cases, which only the murderer could know. Desire contacts private investigator Sam Berger, who sets off to the remote north of Sweden with his colleague Molly Blom to find the author of the letter and to stop them in their tracks. But someone wants to keep them from getting to the bottom of the mystery at any cost and is watching their every move. What happens when the cops become the prey? Hunted is by Arne Dahl. A breath-taking thriller about a wealthy housewife who successfully conceals her dark past until a true-crime podcast and a photo posted on social media send her running across Europe, with a faded rock star by her side and extremely dangerous enemies on her trail. Anna McLean loves to revel in life's unsavory details. When she's keeping up appearances as an upper-class Edinburgh housewife, there's no better escape than other people's sordid stories retold in true-crime podcasts. Until the day it all falls apart. A new podcast turns out to have a connection to Anna's own dark past--the secret history she's taken great pains to conceal. Hours later, her husband announces he's leaving her--for her own best friend. And when the best friend's husband--who happens to be former rock star Fin Cohen--shows up on Anna's front stoop, a nosy neighbour plasters their photo all over the internet. Her cover well and truly blown, Anna's only choice is to run--and take Fin along for his own protection. Conviction is by Denise Mina. A compelling and surreal mystery story by one of Japan's greatest writers. Hat, ribbon, bird, rose. To the people on the island, a disappeared thing no longer has any meaning. It can be burned in the garden, thrown in the river or handed over to the Memory Police. Soon enough, the island forgets it ever existed. When a young novelist discovers that her editor is in danger of being taken away by the Memory Police, she desperately wants to save him. For some reason, he doesn't forget, and it's becoming increasingly difficult for him to hide his memories. Who knows what will vanish next? 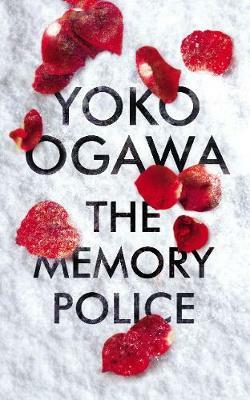 The Memory Police is by Yoko Ogawa. Also due to be published is Death in the East by Abir Mukerjee, the fifth book in the Sam Wyndham.